Charging your iPhone and data storage are two of the many functions of the PowerClip. It seems a bit risky for your tech startup to make its first product a keychain. But London-based Mirai has one you’ll get a charge out of – literally. The PowerClip is a key fob that serves first and foremost as a charger for your iPhone or Android smartphone. But it also has other functions, including an activity tracker, flashlight, key- and phone-finder and serves as a data storage device. A little extra juice for your iPhone could be pocketed with your keys. Your current keychain need not feel inadequate just yet. Mirai is trying to crowd fund production of the PowerClip, having just launched on Indiegogo today. There are two classes of PowerClips. The micro comes with a 500mAh battery and 4GB memory. The Power Clip PRO is slightly bigger with a 1,000mAh battery with a choice of 8GB or 32GB storage. Both come in white, black and red colors. Users would download a PowerClip mobile app for activity tracker and finder functions. “We wanted to create a device that is both extremely portable and invaluable in those emergency situations,” Mirai founder Nicholas Tachmintzis said in a written statement announcing the launch of the $50,000 Indiegogo campaign. 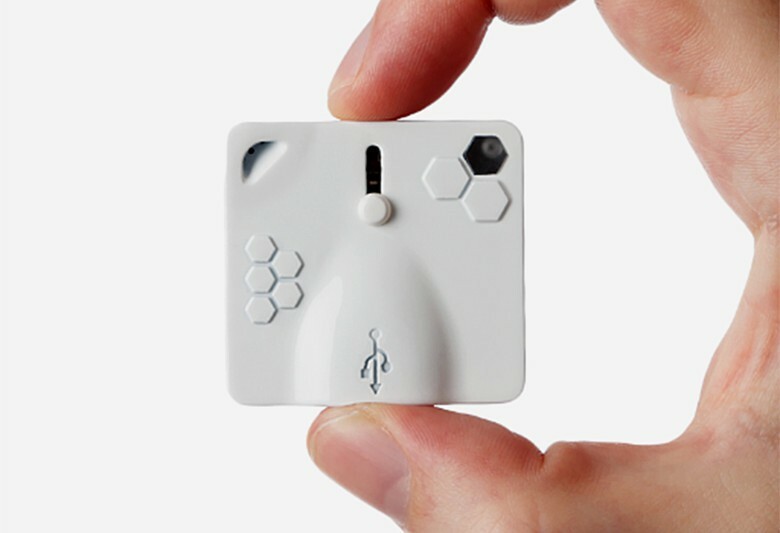 The PowerClip has a slide-out power connector and Bluetooth wireless data storage. The clip features a slide-out power connector, wireless Bluetooth storage and a choice between micro USB or Apple lightning. It has a built-in lithium polymer battery and can bring an extra 20 to 40 percent power to an emergency situation. The PowerClip Micro can be pre-ordered on Indiegogo for an early-bird contribution of $49. The PowerClip PRO is $69. If fully funded on Indiegogo, Mirai will begin shipping PowerClips in January.